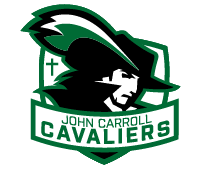 At John Carroll Catholic High School, we believe that it is healthier for our students to participate in as many sports and activities as possible. All of the research shows that sport-specialization harms our student-athletes, physically, mentally, and emotionally. Although many student-athletes and parents justify sport-specialization by claiming it is the only way to get a college scholarship, data shows this to be untrue. Check back for updated research articles and information that will help inform you on the dangers of sport-specialization, as well as the benefits of multi-sport participation.